First, make sure that you are logged into your Skype account and that all your audio gear is ready to go. Now, open the Fraps program. Windows might prompt you to allow the program, click “Yes”. You are going to need to adjust some settings in Fraps to optimize it for recording a Skype call. In the tabs at the top click “Movies”. 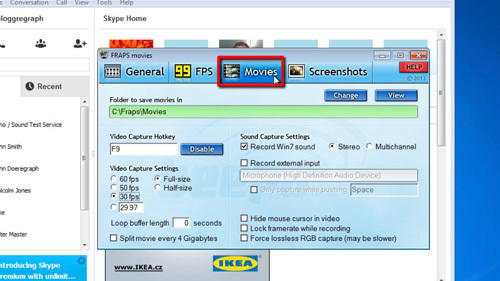 In the “Video Capture Settings” area click on the custom box and enter “1”. On the other side of the window check the box allowing you to “Record external input”. 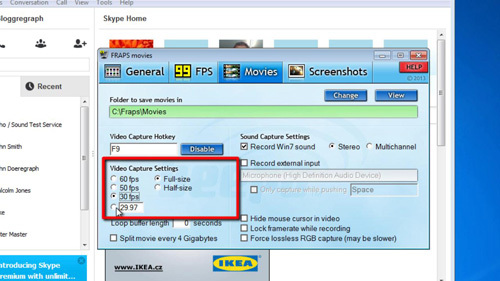 You should also take note of the “Video Capture Hotkey”, here “F9”, which allows you to start the recording. Now, go to Skype and place the call that you want to record. Fraps will only record when an application is in full screen so as soon as the call has started press “Alt” and “Enter” at the same time. Then use the F9 hotkey to start the recording. 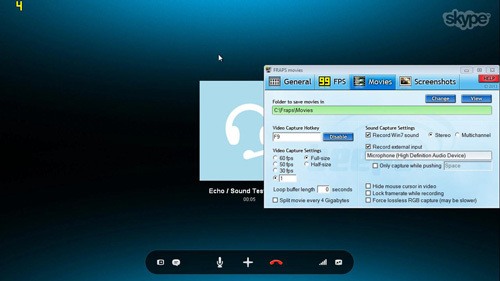 Make the call as you normally would and when you have finished the call simply hang up, the program will exit full screen automatically, which will also end the recording by Fraps. Now that we have a video recording we will need to extract the audio from the file. Open your preferred web browser and visit, “www.zamzar.com”. Scroll down the page and click on the “Browse” button under the “Step 1” heading. In the window locate the video file we just created, by default you will find this file in “C”, “Fraps”, “Movies”, click on the file and then click “Open”. From the drop down menu in “Step 2” choose MP3 and enter your email address in “Step 3”. Finally click the “Convert” button. You will have to wait for a while during the video upload, this can take some time. When done you will see a message that says “File upload complete”. 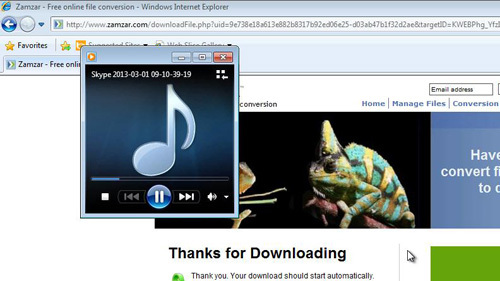 Navigate to the email address account you just used and open the email from “Zamzar Conversions”. Scroll down the email and below the large blue box click the long link, this will open a download page and you need to click the green download button. The file will be downloaded to your computer (this process will vary depending on which browser you are using). 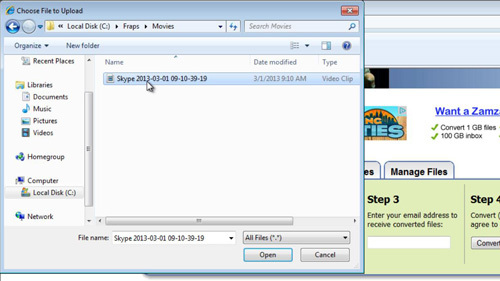 When it has finished open the file and you will be able to hear just the audio from the Skype call and that is how to record skype audio with fraps.